Scoliosis Care CentersTM uses a comprehensive non-surgical treatment plan called The Silicon Valley MethodTM for adolescent scoliosis outlined in the five main components listed below. What is causing the spine to coil down into a bent and twisted position? What is the powerful force driving scoliosis to become worse so quickly? By stopping this destructive force the spine can be set on a road to recovery. Why do so many doctors believe it’s impossible to fix scoliosis without surgery? Why does the spine have such a hard time returning to straight after a curvature has set in? The answer is because the spine becomes stuck, trapped, and imprisoned by contractures. What are contractures, why do you have them, and how can you get rid of them? The spine can only grow as straight as the brace makes it. The straighter the spine is in the brace, the greater potential for improvement. Many braces merely lock the spine in its existing crooked state without providing any significant correction. The Silicon Valley BraceTM is distinguished by maximizing correction in-brace so you can grow straighter. Neuromuscular imbalances often occur with Scoliosis. We use offset weighted devices that work 3-dimensionally to engage the body’s muscles. This trains the body to keep a straight posture for the long term. 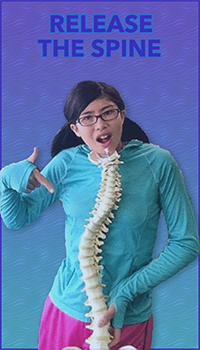 Are you concerned about over-exposure to X-rays in your child or teen with scoliosis? This concern is valid, as studies have shown an increased risk of cancer from X-ray exposures taken for scoliosis. Now Standing MRI can eliminate the need for X-rays, and it is 100% radiation free. 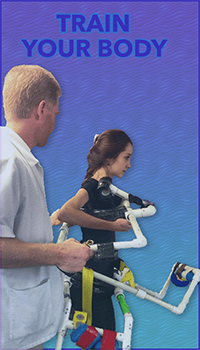 Scoliosis Care Centers’ doctors and staff are familiar with a wide variety of scoliosis treatment methodology. The Silicon Valley Method is frequently the treatment option of choice, but the staff is also familiar with the scoliosis treatment types below.